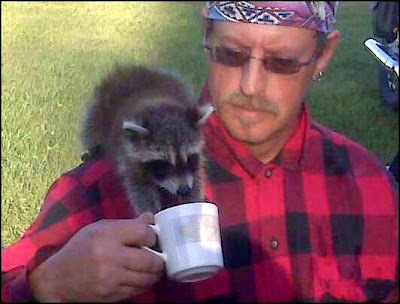 This is a current photo but it is definitely cute: My nephew Ben with orphaned raccoon. How sad is this? I have my mother's ancestory back to the early 1600's in Bohemia and farther back in Quebec and France. But, here in the USA I cannot find the grandfather of my father. I THINK I know.. but I cannot prove it. Benhart Benjamin Wolfgram born 1904 d. 1979 is my father. His father is Amel / Emil Wolfgram, supposedly born in Wisconsin abt 1867. I found an Abel in the Dodge County Wisconsin 1870 census with August and Fredericke Wolfgram and going by one cousin's family lore this almost has to be the family. I have ordered every record known to man on this couple and a couple of their sons trying to prove or disprove this family and I cannot do either. Yesterday on Heritage Quest I found an 1880 census that, for some reason, I never hit upon, Oh, I know why! The name is again, spelled Abel and not Amel. But we all know the history of census takers being ever so 'accurate' in their writings! Not! Amel/Emil ends up in settling down in Todd County, Minnesota and marries Matilda 'Tildee" Zacharias, whom had been married before and brought 2 children to the marriage, and Amel and Tildee have four of their own children. 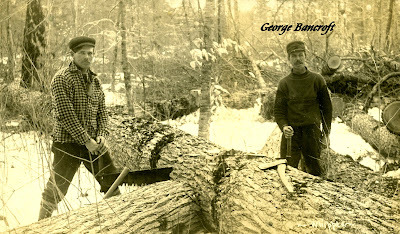 I have land records, vitals and any record I could find on the Minnesota connection but was never to find the connection to Wisconsin. All of his records point to Wisconsin as his birthplace. Abel on the 1870 and 1880 is the ONLY record I have seen that even comes close to Amel. Amel marries in 1884 (from memory) in Minnesota. I would discount this IF there was not a son of August by the name of Frank who became a judge and had a son that was in WWI who died young. Frank donated monies for a room at Weidner University and when Edward died in the military he donated thousands of elite type English books to the room, called the Wolfgram Library. This is a part of the oral stories from a cousin that lived in Minnesota and Iowa and had no way of knowing about Frank unless there was some kind of family connection. If you are reading this and have any connection to this family please contact me at kingsley@aol.com. I have all the data from the time Amel hit Minnesota but not his birth record or parents. I know they were of Luthern faith and that is the one thing I have not done is search the church records in Wisconsin. Now, my commitment for FHC research: I have the 1870 and 1880 census of one person I thought was most likely to be my gr-grandfather so I need to try and disprove or prove this person again with new data I found. The spelling is Abel on the 2 records how likely is it for the census taker to make the same name mistake ten years apart and assumedly not the same worker. I had not found this prior as I thought Abel was a typo for _hopefully_ Amel. So, I need to find out what happened to this Abel. Now to determine what might help me. I will aim for the 1890~ JUST KIDDING~~ okay the 1900 and 1910 and see if I can find this Abel. My Amel married in 1884 in Minnesota so if I find Abel with any of the family it will sort of disprove my _hoped_ theory of the mispelling. I have check this set of records Index of births -- Monroe County, Wisconsin : 1850 through 1944 but not for Abel. I think this will be my first step. And I will have to send a request to the WI mailing list as the book does not left SLC. I am only seeing the 1905 census for Monroe County WI but I will order that. Will check 1900 on ancestry.com. When I order the 1905 I will order this film: Index to marriages in Monroe County, WI : for registration volumes 1,2, 3, and 4 from 1855 to 1907. This is the only films on vitals that are allowed to leave SLC so will work with this for now. will start here. Maybe I can get to the library tomorrow if not they are open again Tuesday. 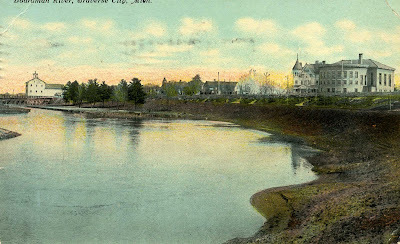 Port Huron, Mich, Jul 29.--A distressing drowning occurred a short distance below Sarnia, on the Canadian side yesterday afternoon and Mrs. George Taylor sacrificed her life trying to save little Jennie Thompson of this city from drowning. Both sank from sight before help reached them. 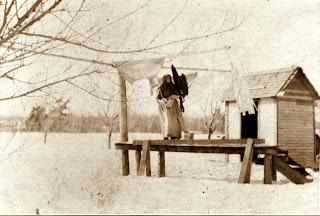 The little Thompson girl was visiting at the home of Mrs. Taylor at Sarnia, and as their home is near the water she wanted to go wading. Mrs. Taylor, taking her little baby in her arms, went to the river back to watch her. 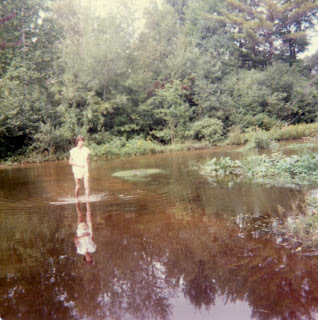 The channel bank runs off at a steep incline and, although cautioned, the little girl waded out for some distance. Suddenly she sank, and when she came to the surface again Mrs. Taylor dropped her baby on the grass and ran into the water to save the drowning girl. The swift current swept them both down stream and out into the deepest water, and although their cries attracted several me, they were too far away to render assistance and the woman and child sank beneath the waves. The little baby which the unfortunate women left on the bank when she made the sacrifice of her life, crowed and laughed at the approach of the men, unmindful of the awful tragedy that had been enacted there before its eyes. One fine day! Brenda, at age four while living at 313 Rose St with my brother, sister and parents must have decided she was hungry for candy. The store was just a short 1/2 block or less, away. She obviously had been there with any part of the family many times as she took off and went after candy without telling anyone. But, Brenda was no dummy she knew she needed money. Where would that come from? Aha~ her brother, Ben, has a coin collection!! She had no clue it was anything but money to buy candy. She didn't realize money stuck in books was any different then coins laying on the table. So, she grabs the money and off she went to buy alot of penny candy. This was about 1950 so there was still penny candy at the time. Ben never got his money back but I am sure Brenda enjoyed the candy!!! In keeping with doing a blog writing with the days of the week. I am promoting another day. Monday for doing maps/land records/deeds/ anything to do with maps or the land on a map. Map Tutorials are an option as well. Using land is to widen out the field a bit here. Please join us in Mappy Mondays! For the first Monday I am going to promote the 1895 State Maps for the United States that Pam Rietsch scanned and put online for folks to use for free. Of course since I am in Michigan chosing Michigan map to be linked to and my county of Grand Traverse. Anyone can link to these maps but please ask permission to use the map online somewhere. See you next Monday! If you would like to post your map blogpost here please send to: kingsley@aol.com or see me on Face Book! Thanks for joining in. Pretty cool find Randy! You do have the knack!! Library of Michigan had a conference last summer that I went to and had a great time. One talk I attended was about the seekingmichigan.org project progress and what they were going to be doing with the web. (wonder if this will happen if Gov. reduces monies for Lib of Mi) Randy is a great speaker injecting humor and knew his topic well. A second topic was on the State Archives and I cannot recall his name but starts with a G ~ He also was a good speaker. 4th of April I will be attending Library of Michigan conference again. Getting quite anxious for this and meeting a Face Book friend that is going to be there. I really enjoy going to conferences at LOM as much for networking with folks and meeting new people. The trip down and back is very enjoyable getting together with local friends that I don't 'hang' out with so much. Mrs. Eliza Hillman, wife of Jacob Hillman of Williamsburg, died at 4 0'clock Thursday afternoon of blood poisoning. The deceased was 36 years of age and leaves a one-week-old baby. Mrs. Ella Payne, wife of Marshall Payne of Cedar Run, died Wednesday, May 27, at the age of 40 years. The funeral was held today at 1 o'clock from the church at Cedar Run, under the direction of H. L. Curtis of this city. The day was a fun day! We had company and my brother and I were relegated to sleeping in mom and dad's big bed. It was our time to 'disappear' for the adult world to commence in their fun and it was our bedtime. Who was to know that more fun was to happen to me AFTER I went to sleep. My brother was eight years older than I who was four at the time. Ben began dreaming and tossing and turning due to dreaming of fighting. Then in an abrupt second I was woke up.. and holding my two front teeth in my hand. Benny had elbowed my two front teeth out in one of his 'tosses'. I sat there crying and then laughing and calling to my mom. "Benny knocked my teeth out" Mom went to holler at Benny but I told her he didn't mean to do it. So, in my defense of him in telling her he didn't mean to do it.. she was okay and started laughing too.. By now, Benny was chuckling of course! I don't recall what happened to those teeth but if we had teeth fairies mine would have been worth a mint. To this day, 58 years later we still chuckle about that. Next Friday: Brenda Buys Candy! Hello everyone, I thought of starting Somber Sunday just to have a guide for doing something continuous on a given day. The same principal as Tombstone Tuesday and Wordless Wednesday. In doing this I thought Fun / Funny Friday might be a good thing. Today as I begin to post to Somber Sunday I went to newspaperarchive.com to look for something that caught my eye to post. In doing this I thought, why not use Somber Sunday as a day to post all the deaths on a given day from the local newspaper. This is what I have done here. I will continue to do this on Somber Sundays to add more obituaries to the web. Charles H. Kimball of Fife Lake was killed near Corning, New York on a railroad on which he was working as brakeman. his body was brought to Fife Lake for burial. At Beaver Island there recently died Mrs. McDonohugh aged 94 years. She came to the island some thirty years ago and had never left it since. Death of Mrs. E. W. Waterbury died very suddenly at her home on Washington St., on Sunday evening, March 19th. Mrs. Waterbury had not been ill, excepting that she was suffering from a severe cold. On going to her room about ten 0'clock she complained to her daughter that it was much worse, and was suddenly taken with a severe pain in her chest. Miss. Waterbury made her lie down, and went for remedies, but in a very few minutes she breathed her last. On Monday evening friends and neighbors gathered for a simple service, mainly of song and prayer, conducted by Rev. D. Cochlin, and early on Tuesday morning her son and daughter took her remains to Polo, Illinois, her former home, for burial. 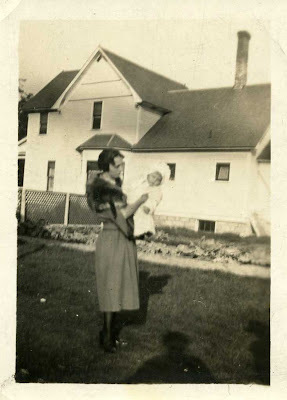 During the months of her residence in Traverse City, her nearer neighbors has come to know her as a gentle, motherly woman, whose heart was in her home, and whose quiet ministrations made that home a very happy one. Much sympathy is extended to the son and daughter who home happiness has been so suddenly shattered. 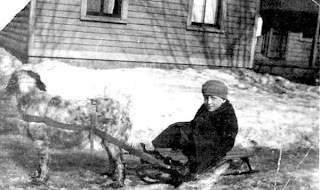 Her family in Traverse City consisted of A. E. Waterbury of the firm of A. E. Waterbury & Co., his little daughter Elizabeth and his sister, Miss Minnie Waterbury. Mrs. Waterbury's husbaqnd has been dead for many years; the other near surviving relatives are three daughters, Miss Bessie Waterbury of Polo, Il, Mrs. H. C. Peek, Oregon, IL and Mrs. M. L. Rogers, Exeter, Nebraska. Mrs. Waterbury was about sixty-eight years of age. Mr. A. M. S. Holmes, father of O. V. Holmes, died at his son's residence at Walton, February 16, 1893, aged 78 years. Mr. Holmes was born in Ontario, but for thrity years or more had lived in New York state until about two years ago, when he came to Walton to make his home with is son. He was married at the age of 21 and there have been four boys and two girls in the family, and the father's death is the first to break the family circle. Mrs. Holmes survives to mourn the death of a faithful and loving companion with whom she had shared the joys and cares of life for fifty-seven long years. Mr. Holmes united with the Presbyterian Church when 18 years old and always remained a faithful member, taking an active interest especially in the temperance cause, gaining the name of the "war-horse," for his stout advocacy of temperance reform. Mrs. Holmes remains in the family of her son at Walton. Grandma Thomas, of Northport peacefully passed away on March 12th after a week's serious struggle with a bad cold or la grippe. The deceased was born on the 8th of October 1819 at Deftford, Kent Co., England. She was married there on the 8th of February 1845; was the mother of 8 children, six sons and two daughters--one daughter died four years ago last October. 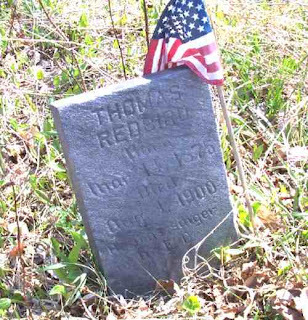 The deceased came to this country from England in 1848 and settled in [Lamaqua], Schulkkyl County, Pennsylvania, and moved from there to Ashton, Carbon Co., in the same state. From Carbon she came to Northport in 1856 when the country was new. She had united with the Congregational Church in High St, Deftford, England. Rev. J. Pallen was pastor at the time. Being one of the pioneers of the district and having her letter from England, Grandma Thomas became one of the charter members of the Congregational Church of Northport. For a number of years she has been very much afflicted. She bore her affliction with remarkable patience and christian fortitude. She is now at rest with that Savior whom she loved so well and served so faithfully. I have had some delightful conversations with her from a Christian point of view. In my visits I was very much impressed by her strong faith in Christ, with a patient hopeful spirit and bright expectation of a kindly welcome by her Savior as well as by her perfect resignation to the will of her Heavenly Father. The funeral services were conducted on Tuesday at the Congregational Church, by the pastor, assisted by Rev. J. Burdge, after which the remains were interred in the Northport Cemetery. George H. Bregg, son of George and Harriet Bregg, was born in Steuben Co., New York, June 14, 1860. He came with his parents to Michigan in 1872 and settled in Grand Traverse County, on Feb. 17, 1884, he was united in marriage to Miss Helena, daughter of Robert and Isabella Dixon, with whom he lived in loving concord until Feb. 27, 1893, when he quietly closed his eyes to all earthy scenes, aged 32 years, 8 months and 13 days. He knew the hardships of pioneer life and braved manfully the privations incident to those early times. His educational advantages were only such as the common schools of the neighborhood afforded, but he improved his opportunities to such a degree as to qualigy himself for intelligent citizenship. Turning aside from the allurements of the city he gave his attention to the cultivation of the soil and found in the flowers of the field a rarer beauty than in the tinseled show of the metropolis. The song of wild bird and the lowing of his cattle was sweeter music to his ear than the rattle of drums of the blare of cornets. While not a professor of religion, he cherished a profound regard for those who exemplified it in their lives. His domestic life, sweetened by the presence of an affectionate wife and and loving boy, made his paradise on earth; and was the strongest tie that bound him to this world. 3. What was your first big success in research? Getting the French-Canadian line traced back to France all zillion of them! 6. What is your professional status in genealogy? In the past I had a genealogy research business for 3 years but now I spent most my time doing volunteer webs online and helping others. No degrees just experience! ;) Although I did have 6 semesters of genealogy classes at our local college. 7. What is your biggest genealogy achievement? Getting my Kratochvil family researched in Bohemia back to mid 1600's and photographs of the immigrant homes there. 10. What notable genealogist would you like to meet someday? Megan Smolenyak Smolenyak. I get to meet Maureen Taylor when she will be giving a talk about 40 miles from me in Sept. 09 - Cannot wait! I was doing Somber Sunday and just had to post this Funny Friday early! Mrs. J. L. Morrice, residing a short distance north of town, visited her henery one evening last week to gather some eggs, and as she thrust her hand into one of the nestings she felt something soft and warm. She seized hold of what proved to be a live animal of some kind. Fortunately she had caught hold of its tail--she carried it to her house which is some distance away, and then to a neighbor's house across the street. Her neighbors soon informed her that the animal she had so courageously tackled and which she had in her possesion, was nothing less than a sharp-eyed, pretty black and white polecat. Mrs. Morrice did not faint away by any means, and escaped without any damage. The animal was shot then and there. The is a story of misplaced confidence; The victims were John Cutler and Enoch Kratochvil. Enjoy!! Prove is in the puddin' what makes the guy swoon as they used to say!! 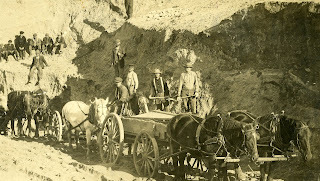 Enoch and John took a rig and started for the farm of Jesse Wells with a cow which was to be put out to pasture. The cow was led behind, part of the way. Shortly after leaving the city Enoch and John overtook a couple of women whom they had thought to be footsore and weary as Enoch and John were to learn a short time afterwards. But the women were not tired as Enoch and John are tender hearted; and seeing the women trudging along through the dusty road they bethought them to proffer a little aid. Said John to Enoch, “Suppose we do.” And they did. The ladies were grateful for the kindness displayed towards them and they said, “Thanks, with all the graciousness necessary at that time. But when they had become comfortably settled in the buggy it was different. They became bold. So bold were these weary ladies that they whipped up the horse, waved their handkerchiefs merrily to Enoch and John, and with a jolly “ta ta, boys!” away they drove like the wind. This performance made Enoch and John very wrathy (sic), but they hurried along hoping to overtake the ladies again but the cow was not able to keep the pace, and the women soon drove out of sight. However, after disposing of the cow they continued on at a rapid pace towards Fife Lake, but the girls drove to fast for them and continued along happily and had a lot of fun at the expense of the men. After a while the men copied the girls driving around a hill. Knowing that the road led nearly around it, they skipped around the other way and the first thing the girls knew they ran their horse almost upon the anxious Enoch and John. The latter invited the ladies to get out and walk, which they did, without un-necessary observation. But as they had all the fun they wanted and had nearly reached their destination they had the laugh on the boys, and so has everyone else who has heard about it. Age 52 years b. abt 1819 in NY and married Elizabeth Roben age 44 years b. abt 1827 London England. 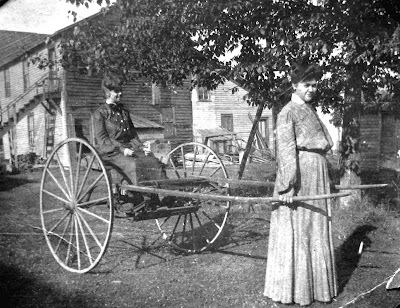 They married in Glen Arbor, Leelanau, Michigan on 18th October 1871. There are not any parents listed and it states they were not married before. The 1880 census shows him living in Glen Arbor with Elizabeth. His parents are shown as being born in Vermont. The 1900 census shows Elizabeth living on South Manitou Island, Leelanau county. It also gives us July 1828 and England as a birthdate and birthplace with her father being born in France and her mother in England. 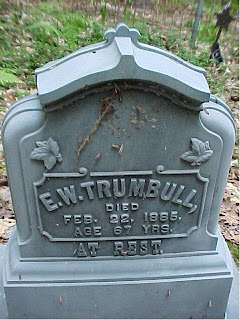 She is the widowed mother-in-law in the home of Richard Dumbrill. Eliabeth had 3 children and 3 children living and immigrated to the U.S. in 1869. Laura Smith tapped me as a follower on Twitter. In going to her site I came across this excercise of Namesake Day. It led me to want to write about my namesake. In this case, it is not so much _who_ I was named after but who named me! I am the youngest of 3 children. Sort of the 'after the fact' child. My sister is fourteen years older then me. It is pretty evident she read the Sunday comics as my name Brenda came from Brenda Starr the girl reporter. I am very proud of my name and have never wished to have another. I consider the name Brenda a gift from my sister who passed away in 1971 at age 38 years. whitepages.com says: Brenda is the # 63 ranked first name in the United States. Although when I got the name in 1946 it was not near as popular. If I recall right there were only 3 of us in my 3 grades of high school. This Brenda (moi) found that the name is derived from Brendan and male Irish name. Behind The Name site has this to say: Possibly a feminine form of Old Norse name meaning Brandr, meaning sword which was brought to Britain in the Middle Ages. Thanks for the opportunity to write about this. "Somber Sunday" is going to be posts in which I add obituaries or a sad story situation to my blog. Any genea-bloggers that wish to join in are welcome. I will also be doing Fun/Funny Friday and these will be done on Friday and Sunday after the initial post. Mt. Pleasant--Clifford L. Forton, 73, of Mt. Pleasant, died Wednesday at Central Michigan Community Hospital, Mt. Pleasant. He was a native of Traverse City and had lived in Mt. Pleasant for 43 years. A member of Sacred Heart Parish and the Ushers Club. Clifford was employed by Kroeger's Store as a manager and was owner/operator of Fortons Supermarket and Witbeck's IGA in Clare. He was a veteran of the World War II in the Army. Born, January 28, 1916, in Traverse City, he was the son of Angus L. and Josephine N. (Kratochvil) Forton. 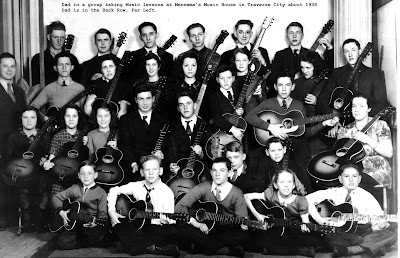 On September 29, 1951, in Mt. Pleasant, he married the former Rose Ann Scully, who survives. 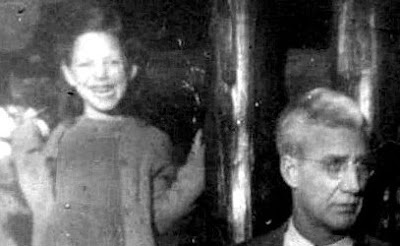 He is also survived by four daughters, Mary Jo Kennedy, Kathryn Anne Lemanek and Toni Raymond, all of Saginaw and Karen S. Gumbert of Grand Rapids; three sons, Robert of Decatur, Alabama, Richard J. of Dewitt and Thomas J. of East Lansing; nine grandchildren and 2 great-grandchildren. Funeral services will be held at 11 a.m. Saturday at Sacred Heart Church, Mt. Pleasant. The Rev. Richard Jozwiak will officiate. Burial will be in Calvary Cemtery, Mt. Pleasant. Friends may call until 9 p.m. and the rosary will be recited on 7;30 p.m. today at the Lux Funeral Home, 503 E. Broadway, Mt. Pleasant. Memorials may be directed to the Sacred Heart Academy Foundation of the chairty of one's choise. 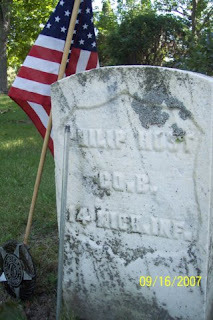 Philip Host a Civil War Veteran b. abt 1833 Germany. Married to Emily J. in the 1880 census for East Bay Twp, Grand Traverse County. Living with him is Carrie Freeman age 5 an adopted daughter and William N. Tibbits age 17 listed as son. Phillip was in the Co.'s K and A; 9 Regt U. S. Veteran Volunteer Infantry, Union volunteers. 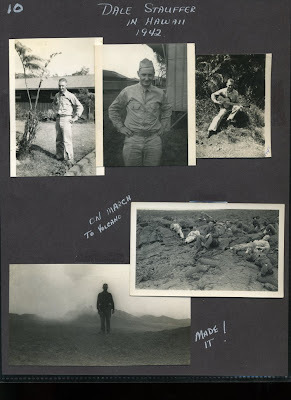 He enlisted as a private and mustered out as a private. Mrs. Frank Kratochvil, I just need to check my database for which one she is. I used to hang clothes out in the winter on occasion but nothing setup like this AND I am glad of it!